What you must do, once in a month, is to check up you car yourself! Fluids are an important part of your Volvo car. Make sure that all the fluids are up to the top line and that the oil is lubricating the car system properly. Take care of the radiator coolant, the brake fluid, the oil levels, the windshield washer fluid, your power steering fluid, your Hydraulic Clutch fluid, and your Automatic Gearbox fluid. The last three may not apply to most cars, but for those who do have it, it is important to maintain them properly. Coolant leaks are common in cars which have weak or old radiator hoses. Locate the radiator hose in your car and make sure that there are no fissures, tears or tattered ends. If there are, you need to change them immediately. Squeeze the hoses, when the engine is cold and see whether they are brittle. Also, check the clamps and make sure the hoses cannot be turned. The hoses should not be wet or damp there either. If they are, either tighten the clamps or replace them. Check your Volvo belts as well. They are very important, and loose or broken belts are very hard to manage. The belts are generally located at the front of the engine. Usually, the number of belts depends on the car itself. They operate the fan, air conditioner, alternator, water pump and the smog pump. Press down on the longest part of the belt, between the pulleys with your thumb. Check the manual that comes along with the car, to check the tension of the belts. Make sure that the tension is the same. Otherwise, replace them. Your engine is the most important part of the car and it is equally important to take proper care of it. Every now and then, open the bonnet of your car, and take a look at your engine. It is possible to find leaks simply by looking over. Make sure that none of the fluids are leaking and if they are repair them. Look under the engine and under the car as well with the help of a flashlight. Make sure that there is no dampness sticking to an area. There are other things you can do to keep your Volvo in tip-top condition. 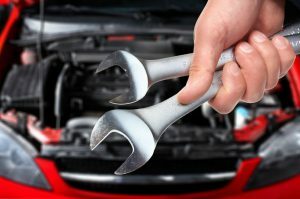 Examine the battery of the car for cable end for corrosion, make sure that all the lights are in perfect condition and occasionally start your car with the hood up and making sure it sounds all right. Regularly check the windshield wipers, and the tire pressure. Make sure the tires don’t have glass, nails or lesions in them.